REBUILD/REGALVANIZING EXISTING TRAILERS | Peninsula Marine Ltd. 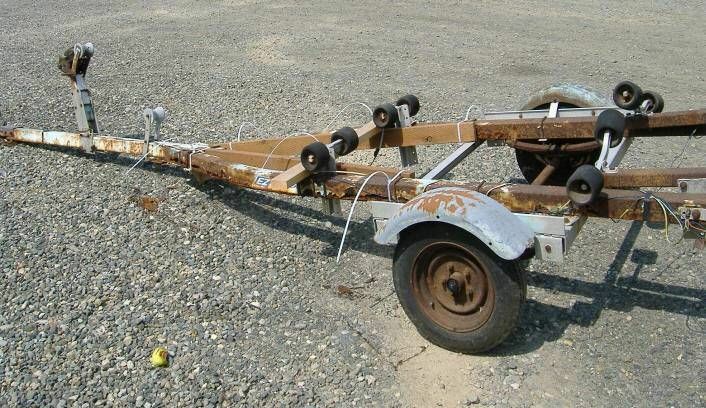 Here at Peninsula marine, we specialize in rebuilding old/rusted boat trailers. We also work closely alongside local engineering firms to modify second-hand trailers to fit different boats. The extent of a trailer rebuild is discussed upon by one of our many experienced technicans, and trailer owner. So for a quote on your trailer needs please enquire bellow.